Copal Treet Lodge is located in the heart of the Belizian Jungle. 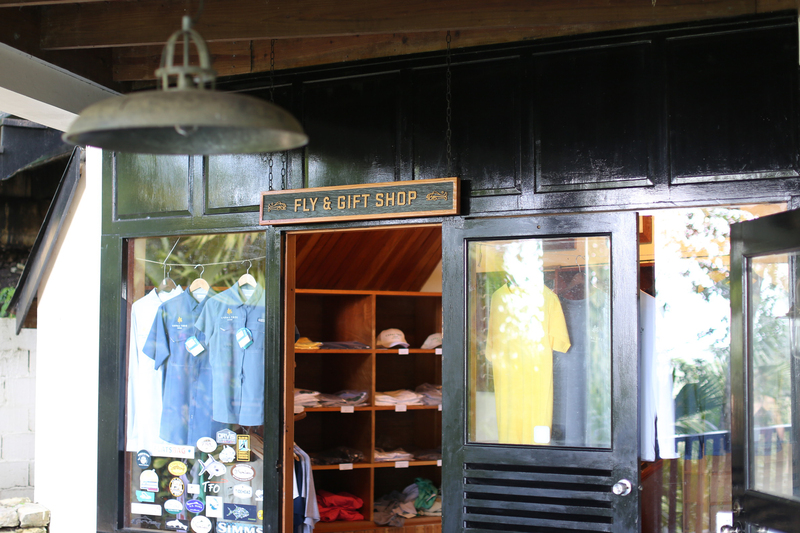 Along with other directional signage, this sign for the fly fishing and gift shop uses Mayan symbols. The lodge is located near Mayan ruins that guests tour.